My partner and I dropped my son off at school for the first time this morning. 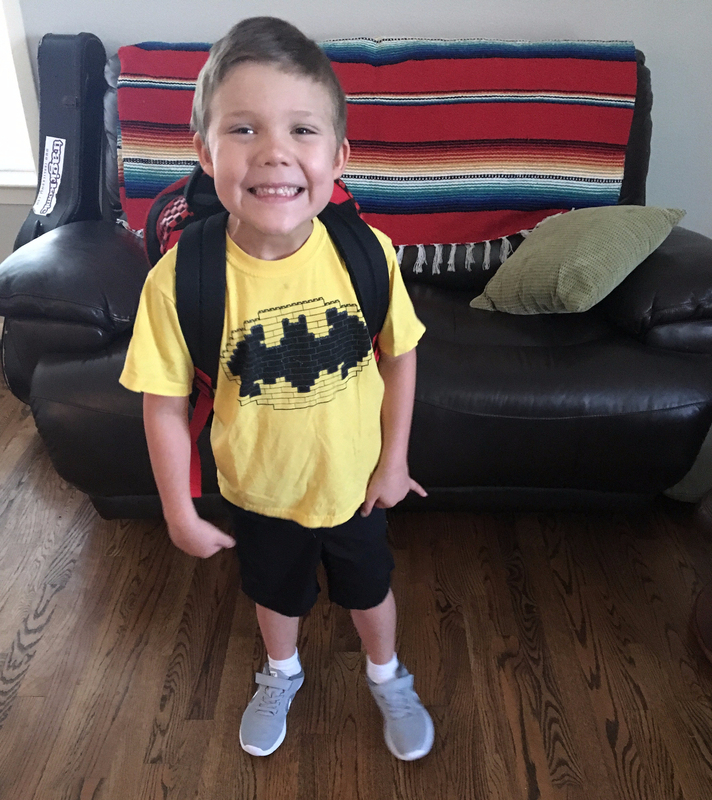 He’s been in a daycare/preschool since he was 1.5 years, so we thought today would go…not well, necessarily, but at least ok. He’s an introverted, anxious kid, who has confessed to being “nervous about going to school” more than once in the past few weeks. School has been pushed back by almost 2 weeks thanks to Hurricane Harvey, so he’s had a lot of time to stew in his anxiety. Of course he cried and said he wanted us to stay with him. His teacher calmly ushered us out of the classroom. We kept it together pretty well until we left the school grounds, then added our own tears into the mix. Despite drinking too much coffee I’m still thinking about him: Did he stop crying soon after we left? Is he ok? Will he be scared to use the school bathroom? Will he eat his lunch? Does he know how to open his juice box? Will the other kids be nice to him? Will he make a friend? There’s a lot out of my control. What is in my control is the time I spend while my kid is at school. I think of today as a new beginning for him and a fresh start for me. My family’s sabbatical transition has been marred by health crisis and hurricanes, but today is what I dub the “official start of my sabbatical.” It’s time to write. It’s time to read. It’s time to reevaluate that overambitious list of projects I scrawled out in my sabbatical proposal. I’ll hopefully be writing and posting on a more regular basis, and chatting with colleagues over Google Hangouts and coffee. I’m excited about the scholarship possibilities this next year will bring, and I hope that school drop offs get easier. I wish you all the best possible start to your new academic year.